Making the choice between outsourcing or subcontracting isn’t always easy. Both outsourcing or subcontracting options help you expand your business without the costs of expanding your business in-house. Yet outsourcing or subcontracting are two very different types of services, and each option offers the biggest benefits in different situations. Developing new products is one of the most challenging parts of running a business, and choosing between outsourcing or subcontracting to expand your development department can help you grow with speed. But which outsourcing or subcontracting service is better for product development? You’ll clearly know which to pick from outsourcing or subcontracting after the points made below. When product research is an ongoing part of your company’s responsibilities, choosing either outsourcing or subcontracting works well. However, the biggest difference between outsourcing or subcontracting for product research is the frequency of demand for it. If you go months or years between new product releases, subcontracting is generally a better idea when faced with the choice of outsourcing or subcontracting. It’s easy to arrange for short term and intermittent product research services from a subcontractor, while outsourcing companies generally require a long-term commitment. Either way, pre-development product and market research is one of the easier parts of product development to turn over to outsourcing or subcontracting companies. The actual work of outsourcing or subcontracting the designing of product plans and specifications requires you to maintain a lot of control over every step of the process. If you are looking into outsourcing or subcontracting, choose subcontracting from the options of outsourcing or subcontracting for more control and better results from the design process. Choosing outsourcing or subcontracting for design services increases the risks of intellectual property theft and compliance issues, but the latter option of outsourcing or subcontracting gives you more control to prevent these problems. You can also hire multiple subcontractors to complete the various stages of the product design process, speeding up the results while catching outsourcing or subcontracting issues that might slip by a single team of in-house product designers. Almost all companies need help with prototyping services, but there’s a big different between outsourcing or subcontracting companies in this case. Subcontracting is the better choice of outsourcing or subcontracting because it’s ideal for as-needed orders to speed up the prototyping stage of product development. Outsourcing companies tend to have slower turnaround times and only offer a limited number of different prototyping services. By choosing the latter in the outsourcing or subcontracting decision, you’re freeing yourself to order as many different types of prototypes as you need from multiple subcontractors. When you fall out of the product development cycle and focus on maintaining your current product lines instead, there’s no need to cancel any contracts if you’ve chosen subcontractors from outsourcing or subcontracting providers. Once you’ve got a working prototype assembled, it’s time to begin testing through outsourcing or subcontracting to determine if a product can perform to expectations and attract consumer interest. This is one of the services most commonly handed over to outsourcing or subcontracting services. Choosing between outsourcing or subcontracting is simple once you’ve tapped into the European Subcontracting Network and explored the opportunities for contracting out with experienced testing companies. 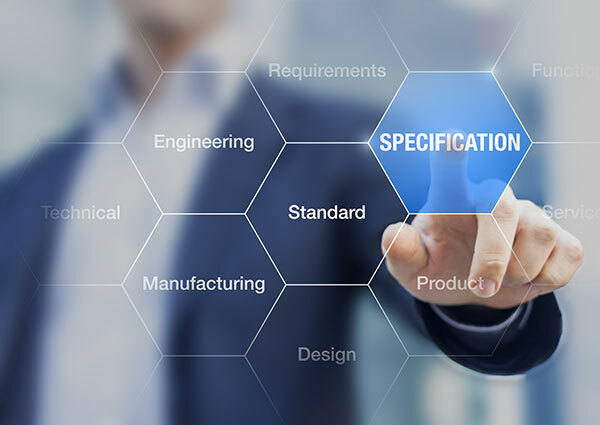 No matter what kind of European safety and testing regulations your products must meet for sale in your target countries, you can find outsourcing or subcontracting listings to provide you with the right certifications. Leveraging help from outsourcing or subcontracting companies can take your marketing to the next level, but it can also result in some off-brand material that detracts from your image. You absolutely must maintain final control over all materials created for your company by third-party outsourcing or subcontracting marketers. Pay for professional translations, preferably completed in-house, of all outsourcing or subcontracting materials before they’re published to catch unwanted mistakes before any new materials go live. Consider keeping marketing an in-house function rather than handing it over to outsourcing or subcontracting services unless you’re willing to hire a reputable firm. Almost all manufacturers require outsourcing or subcontracting help with the last step of creating the parts necessary to manufacture a brand-new product. Subcontractors are a better choice from outsourcing or subcontracting companies for making individual tooling and machining parts since you can place new orders at any time to keep your equipment scale equal to consumer demand. Outsourcing companies have a slower response and turnaround time on these kinds of parts, resulting in less flexibility when you’re trying to get a new product out on the market as quickly as possible. Ready to hire the outsourcing or subcontracting companies you need to handle any part of the product development and design process? Check out the listings on European Subcontracting Network to find product designers, prototyping and 3D printing services, machining and tooling providers, and more.